What a terrific thread. These photographs are so interesting. 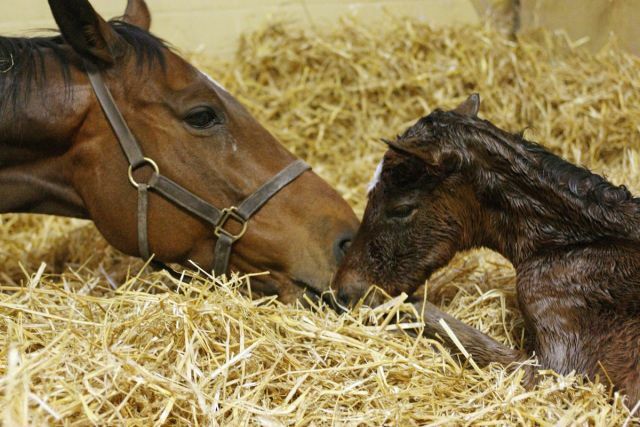 To those of you with experience in evaluating foals/weanlings, what do you see in the pics of Frankel, Zenyatta, Rags, Barbaro that would predict the outstanding racehorses they turned out to be? And conversely, are there any ugly ducklings that are a surprise to see how well they turned out? I love this thread. 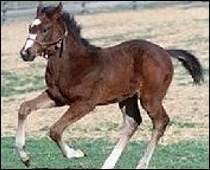 If anyone can dig around and perhaps find one of Serena as a little one, that would be great! 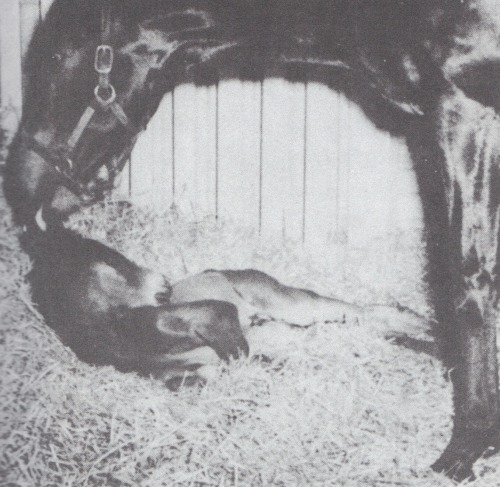 Would be a bonus if her dam is in the picture, as I have never seen a pic of her. 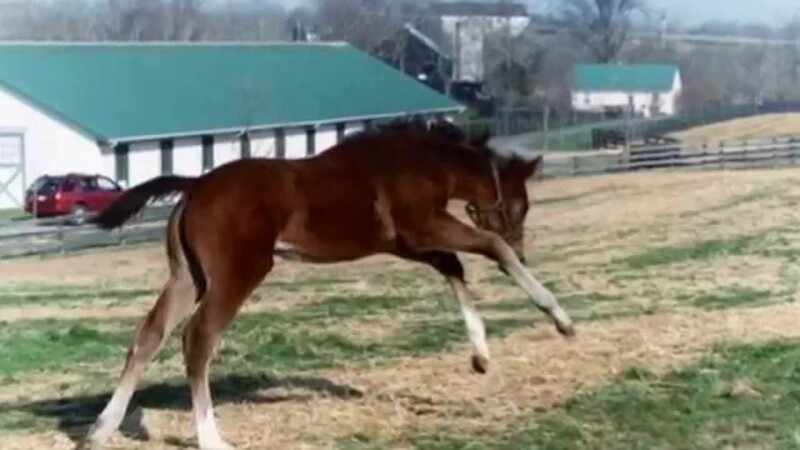 Having seen a baby pic of a well known, recently retired stallion with legs as crooked as a crow - one would think that broodmare owners would ask for foal photos as part of the decision making process. 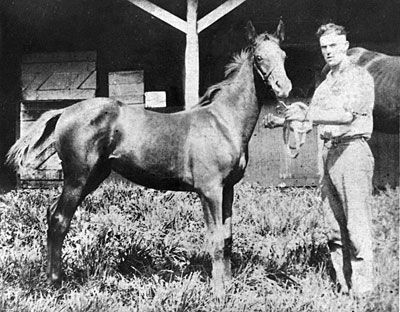 The baby Man o' War in 1917. 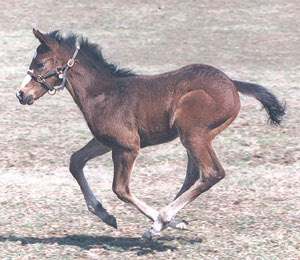 I'm loving all these baby pictures. Wonder if that is Serena's Cat with him, would make sense. Would be able to tell if I could see her face.